31 Dec. 1998 - Merry Christmas and Happy New Year, and long live Townes Van Zandt! I made a few additions and changes to the TVZ FAQ. 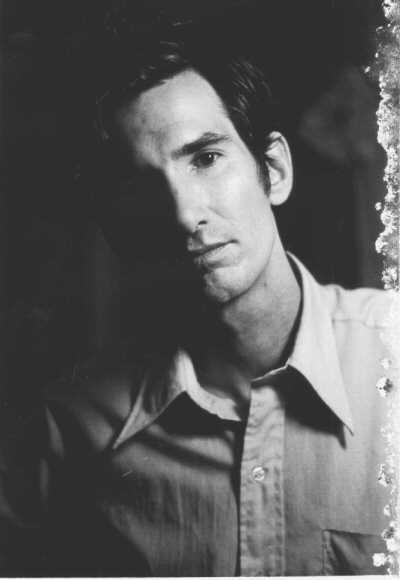 www.townesvanzandt.com now has a whats new page, so make a bookmark there. I redesigned and added an item to the memorial page, specifically a nice story and song about Townes emailed to me from another fan. 17 Oct. 1998 - Frans has updated his TVZ by Others page (mainly corrections). 26 Sept. 1998 - Frans has updated his TVZ by Others page (with 22 new items). Check out the new Lyle Lovette CD, with 4 cuts written by Townes. Added one item to the chords page (The Catfish Song, thanks to Doug), now with 53 songs. The big news is: there is now a www.townesvanzandt.com, run by Jeanene, myself and Marq. This mainly is moving over Jeanene's pages from Marq's site to her new .com site, which will make it simpler to find Townes information and merchandise on the web. Updated the merchandise page. 14 Aug. 1998 - Added five items to the chords page, now with 52 songs - thanks to Christof and Rainer. 11 July 1998 - Updated Frans' TVZ by Others page. Added several items to the chords page, now with 47 songs. Added a TownesFest 98 report by Jeanene E, Rolland (pics), and Jeanene (gleaned from about-townes). TownesFest was a music bash/barbeque for About-Townes listers and fans, held at Jeanenes' place in Tennessee on June 26-28. Updated the guide to TVZ songs and discography pages, with info on the re-released Abnormal and new 2-CD Anthology CDs. 29 May 1998 - Added an entry to TVZ memorial page, specifically, Guitar Road by David Munyon, thanks to Kim Nygaard. Also, added Highway Kind to the chords page, now with 37 songs. 12 March 1998 - Updated Frans' TVZ by Others Page. Be sure to watch for the upcoming Austin City Limits Tribute to Townes, which should be broadcast around March 26. Also, check out Townes' cover of Dead Flowers (By Mick Jagger/Keith Richards) in the New Coen Bros.s' film, "The Big Labowsky". Its a good one, if you like character studies, and/or Coen Bros's films. 14 Feb 1998 - Updated the TVZ FAQ. 30 Jan 1998 - Added "Buckskin Stallion Blues" and the long awaited "Rex's Blues" (my fav.) to the Chords page - thanks to Karisue and Hazydavey from the about-townes list. Updated the TVZ links page. The Blue Sky Home Page's 2 year anniversary came and went Jan. 15, as did the one year since Townes' departure. Times are busy lately but I will get back to adding more content real soon now. Keep in touch with Marq and Jeanene's pages for more about recent developments from about-townes, now moderated by Jeanene. I received a Townes video that a good friend in KC recorded at the Drum Room there in Oct 1995. It is nice to see Townes on video now and again, as Jeanene has made available a special video of Townes at the Milky Way in 1991, can't wait to see it. Also watch out for the broadcast of the Austin City Limits tribute to Townes, (review added 4 Jan 1998) expected around the last week of March (check local listings). To access earlier what's new/log info go to tvzlog97.html and tvzlog96.html.